I don't take my obsessions lightly, nor do I feature a lot of Etsy shops here because there are just SO MANY good ones that I favorite and stalk on a regular basis, but Boopsie Daisy is Different with a capital "D". Boopsie Daisy (hmmm, I'll call it 'Boopsie' for short) is full of incredibly colorful kitschy art prints and illustrations featuring such fine sights as vintage kitties answering the phone, doll-faced mermaids, a cutesy deer wearing a strawberry as a hat and a cheeky baby face peering out hilariously from a pile of ridged potato chips. So, it might not be for everyone, but it's certainly for me! The bright hues of pink, blue and orange catch your eye, while the drips of melting ice cream cones and heavily sprinkled donuts keep your attention. 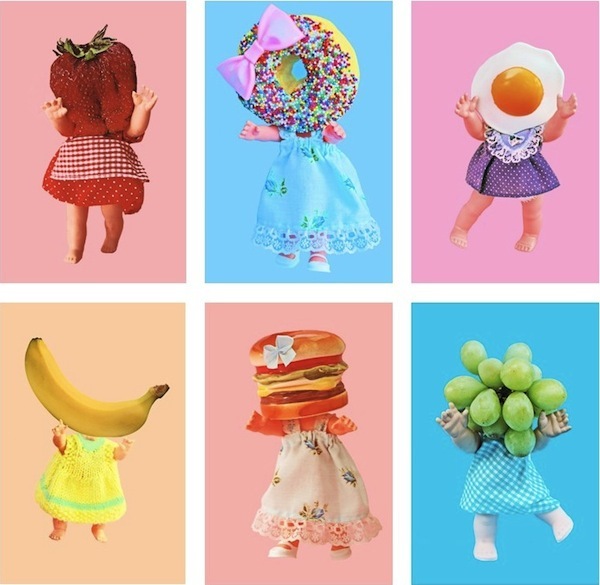 It's art with a sense of humor and a major sense of kitsch. 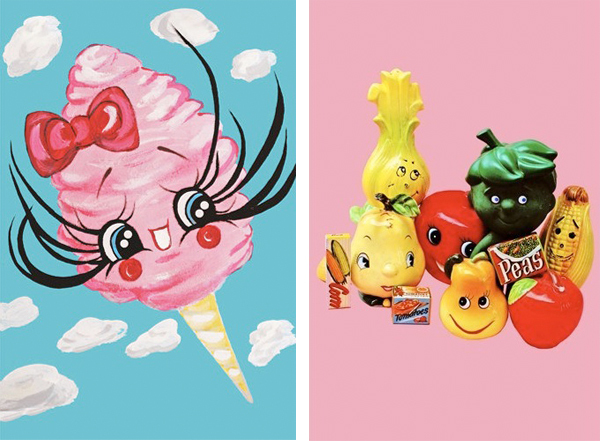 I drool over the photography prints, but the dreamy illustrations (think winking cotton candy and high-school-era Bride of Frankenstein) are also completely original and often adorable. Plus, the prints come with amazing pun-filled names (you'll meet "Spag Eddie" and "Peteza" below) to keep the tongue-in-cheek theme going. 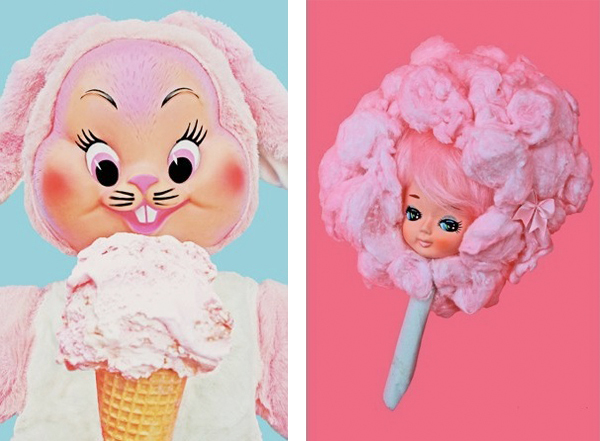 Described as "a 1950s diner on an acid trip," Boopsie's art is the perfect soft serve twist of creepy and cute, with just a bit of sweetness sprinkled on top. 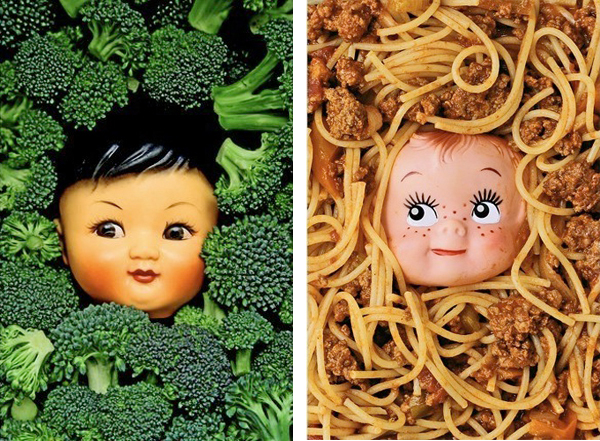 Check out the Boopsie Daisy Etsy shop and the Boopsie Daisy Flickr for more delightful wonders! 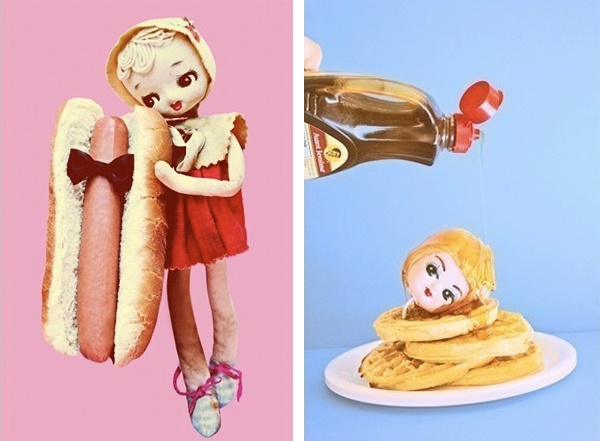 Do you like your art kitschy? 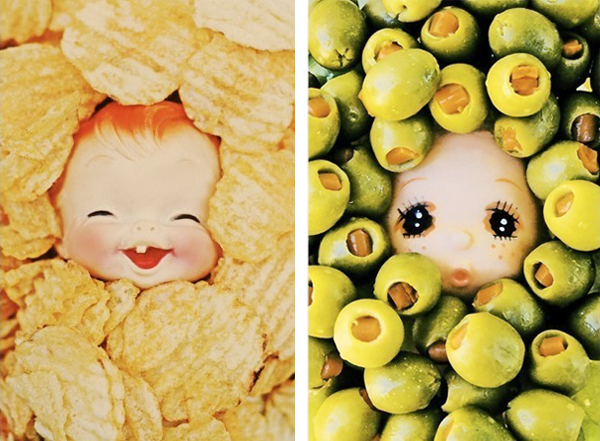 Could you stand to have smiling doll heads all over your walls? 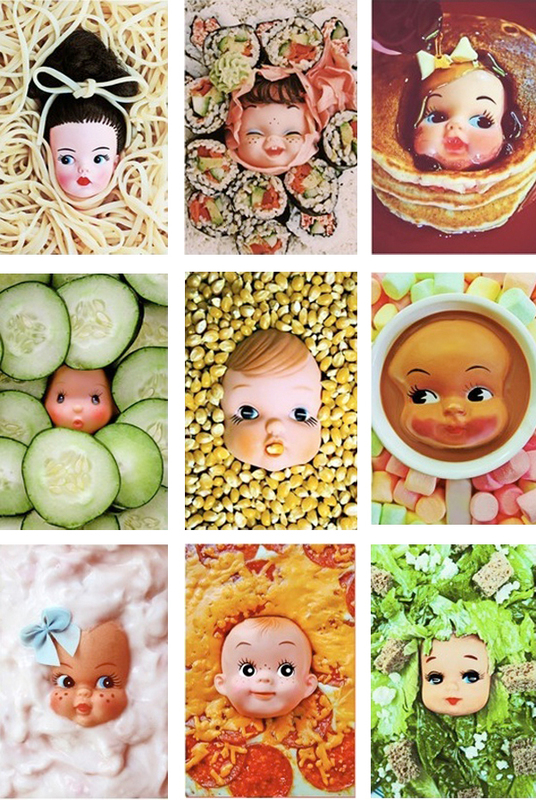 What kind of fun art are you creeping on Etsy? Let me know in the comments so I can creep along with you! Oh. My. Wow. I think you just found my one of my new favorite etsy stores. 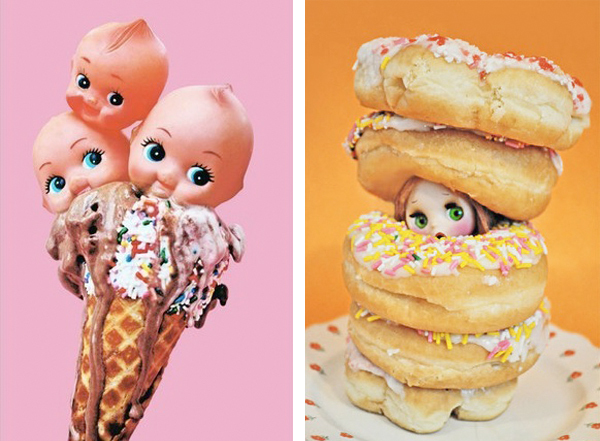 The Triple Skewpie Print & Doughnut Eat Me Prints need to be on my wall, asap. Little Bubble is amazing. You should definitely check them out if you haven't already! It may not be normal, but it's definitely awesome! 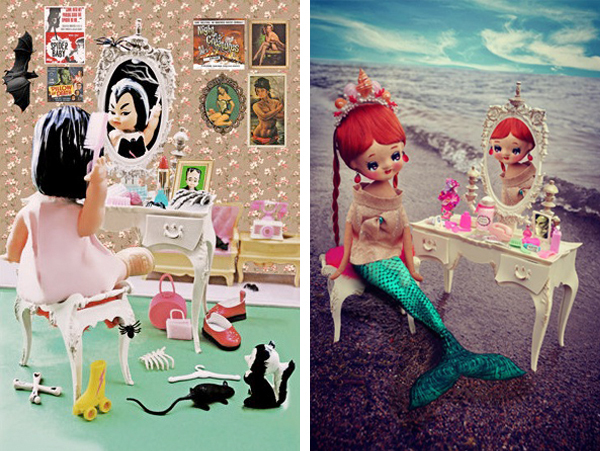 I love cute/creepy kitschy things! Oh wow, those are so cool! Will definitely check them out! These prints are so much fun. I love them. I'm never on Etsy. Definitely a mistake. I have to check it out. These are AMAZING! I love them. So very weird but wonderful. Definitely have to check these out on etsy. I LOVE THIS! Haha so weird! And thanks for the comment on my blog!! this post is fab! very different and fun.